Sense Of Color is a unique endless arcade game what you will love from the very start. It is based on the new Lollipop material design and it has simple gameplay. If you have a suggestion or question feel free contact me. All you need to do is to send the random color dot to the corner with same color. Sense Of Color may seem easy to play at the start, but as you progress the rotating barriers are becoming much harder to pass and you will have hard time getting points. 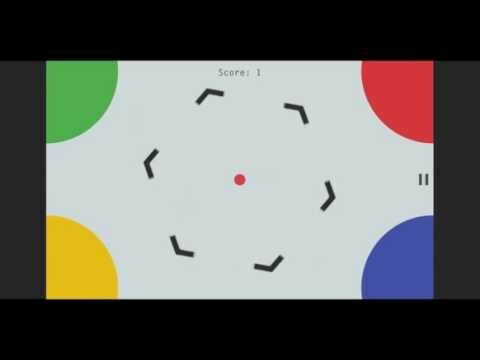 If your dot touches the banner or you send the dot to corner with different color you will lose the game! The game also features Leaderboard on which you can see where do you rank amongst the other users of the game. Get it for free and enjoy the colorful and minimalistic design of Sense of Colors.